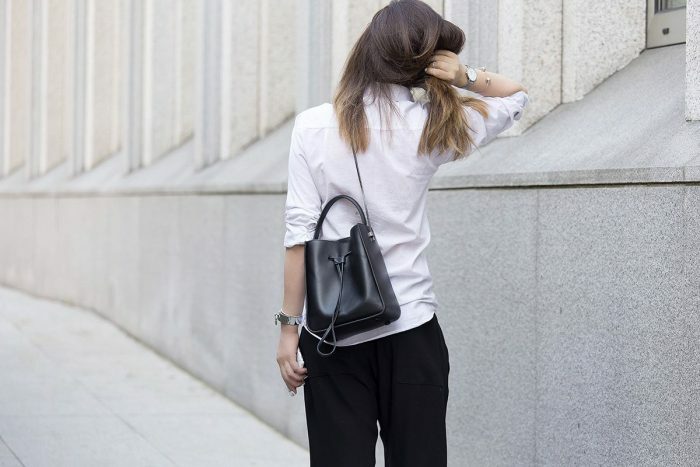 If you are looking for a smart-casual design, then you can try on a neutral colored bag that can be worn with tees and jeans, sweaters, relaxed fit skirts and sneaks combos. 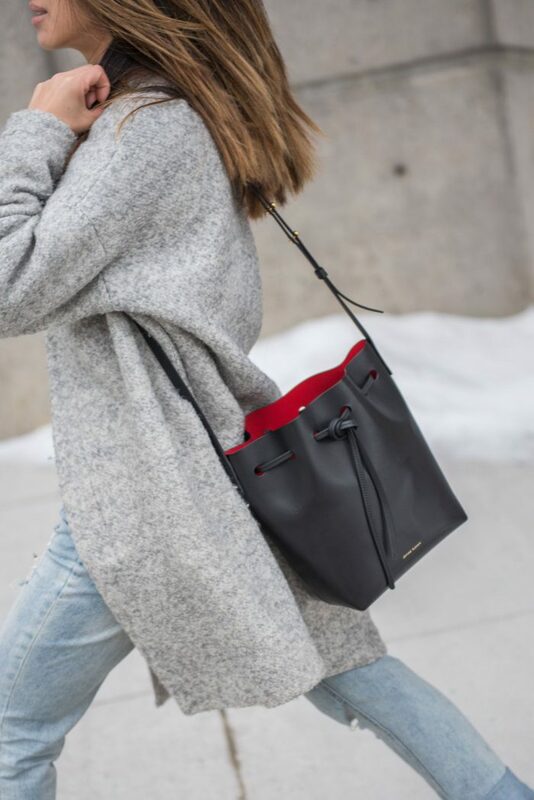 You can buy a bucket bag that will match the color of your top. 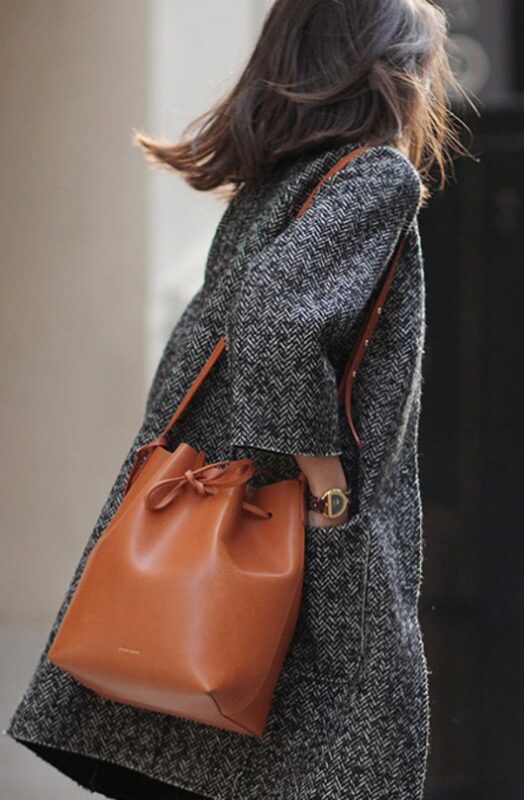 If you think this bag looks too much boring, then you can always spice it up with modern current fashion trends. 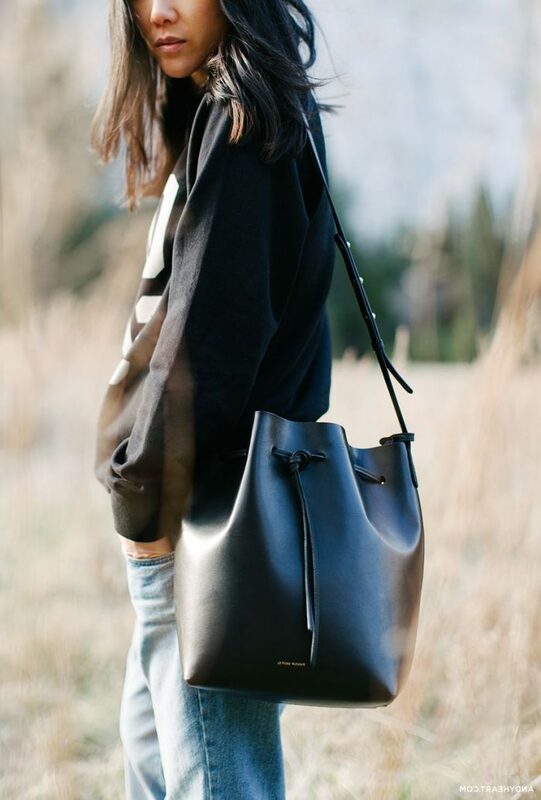 How about wearing your favorite cream-beige leather bag with a crispy white ribbed knit big sweater, denim cut-offs, and shiny golden platform sneakers. 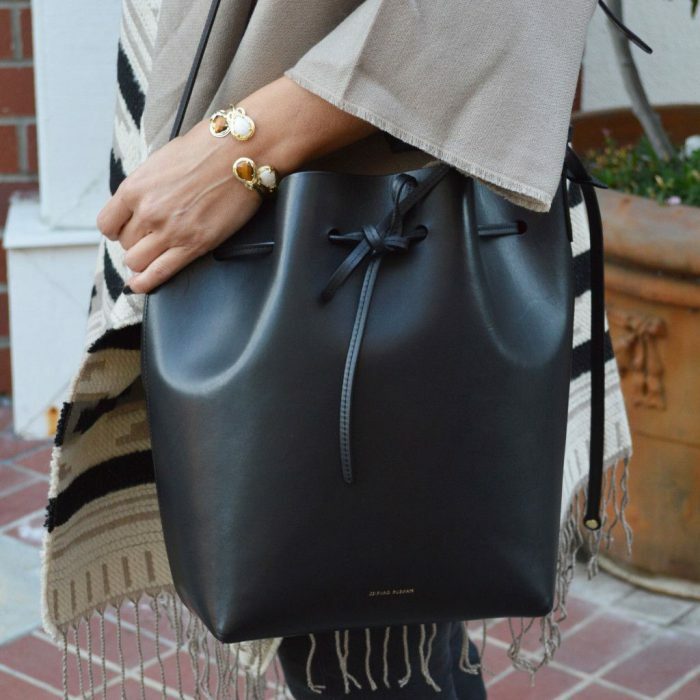 There are great ways to make this stylish accessory look awesome on you. You can go for color-blocking looks, mix prints, or try on jewel tone clothes. If you want to update your outfit by wearing something edgy and rock-inspired, then the best way is to try on drawstring bucket bag embellished with spikes and studs. 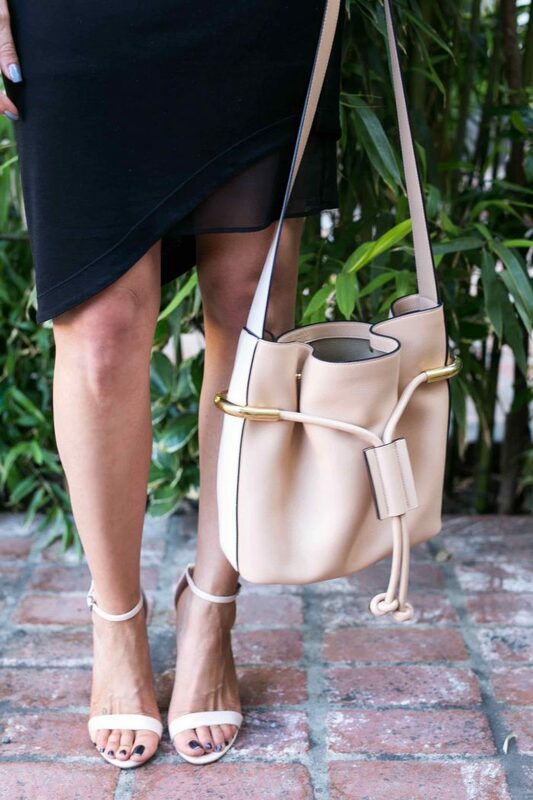 This addition will freshen up your bag, as well as your look. 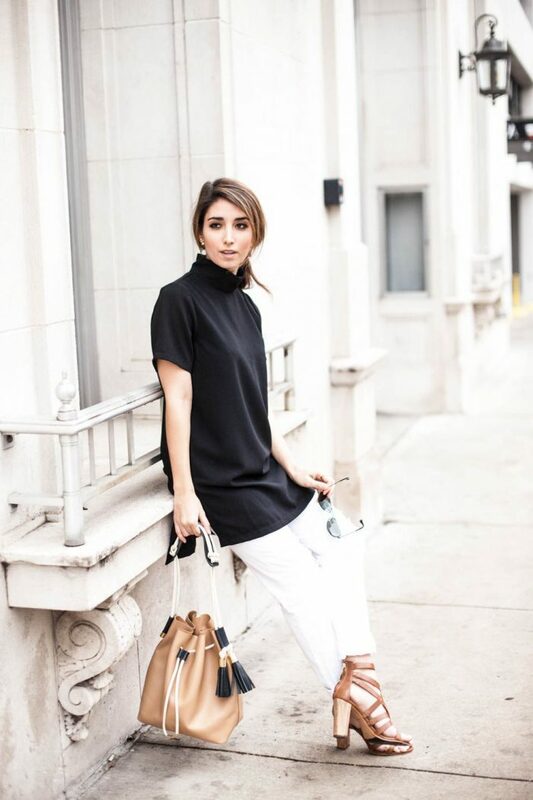 I love to see gals who appear on the streets wearing fully black outfits completed with bucket bags and chunky boots embellished with metallic studs. If you are not on the dark side, then you better choose lightweight dresses and blouses in neutral or ladylike colors made of soft and drapey materials. 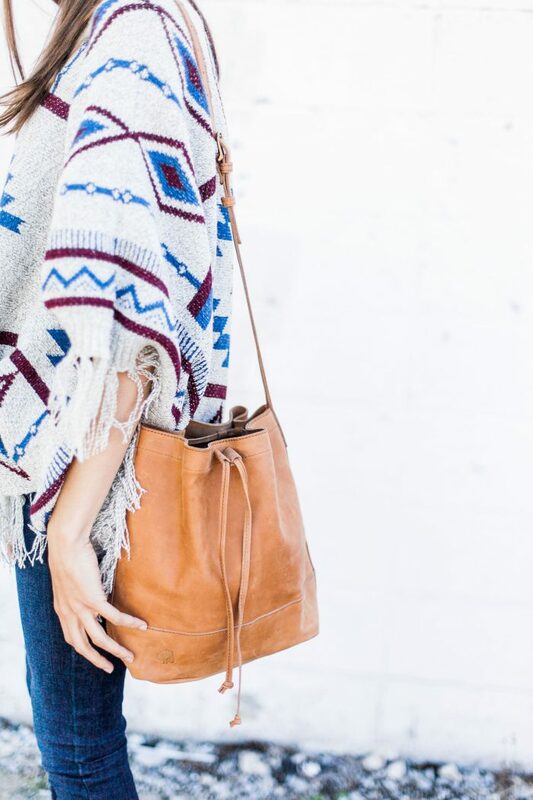 This style of the bag looks like a hobo bag, that’s why you can easily create bohemian or wild west inspired looks. Try on leather or suede designs completed with tassels or fringes.